Five Common Auto Insurance Myths - Hegarty-Haynes Insurance, Inc.Hegarty-Haynes Insurance, Inc.	Five Common Auto Insurance Myths - Hegarty-Haynes Insurance, Inc. There are many common misconceptions associated with auto insurance coverage. Protect yourself from future misunderstandings by familiarizing yourself with the truth behind these five auto insurance myths. Myth: If you loan your car to a friend, their auto insurance will cover any damages in the event of an accident. Truth: Your insurance policy is considered primary. As the vehicle’s owner, you are responsible for any damages resulting from a vehicular accident, regardless of who was driving. In other words, auto insurance follows the car, not the driver. Every state, however, has their own rules and regulations so make sure to research those before giving your friend permission to operate your vehicle. Myth: The color of your vehicle determines your policy rates. Truth: The rate of your policy is determined by several variables. Among them are the make, model, body type, engine size, safety features, and age of the vehicle. Personal attributes that may also affect your rate include YOUR age, driving record, and credit history. Vehicle repair and replacement costs are also considered. Color is not considered when determining policy rates. 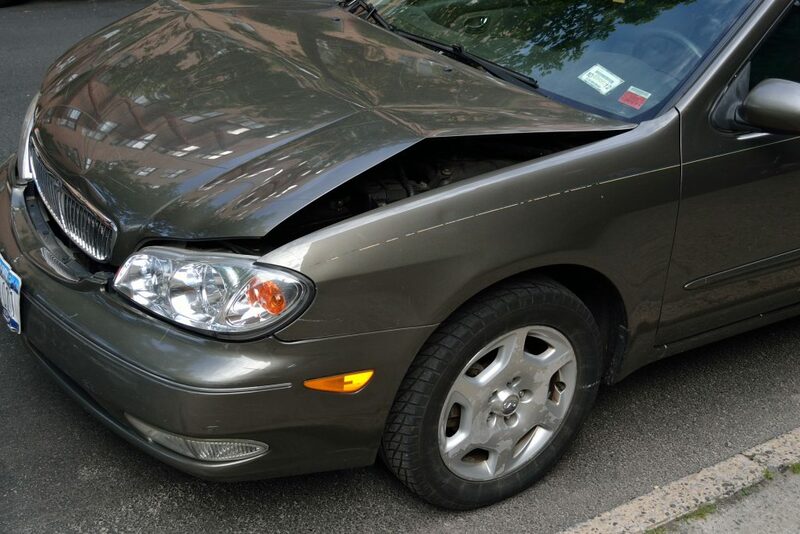 Myth: Your insurance company will pay off your loan if your vehicle is totaled in an accident. Truth: Your insurance provider will pay fair market value for your vehicle in the event it is totaled. Usually, they determine fair market value by looking at comps; vehicles in your area that match your vehicle’s make, model, age, and condition. This is often, but not always, less than the balance of your loan. In this situation, you, as the vehicle’s owner would be responsible for any remaining balance on the loan. For example: If you owe $10,000, but the fair market value is $7,000, you would be responsible for the remaining $3,000 on the loan. Therefore, you may want to consider purchasing GAP insurance, especially if you are leasing or financing a vehicle. Myth: Thieves only steal new cars. Truth: Vehicles with an established model line history, or cars that continually sell well year after year tend to be more attractive to thieves. Often, it’s more lucrative for a thief to steal a car for parts, than it is for them to try and sell the vehicle private party. Cars with an established model line are more abundant on the road, making it easier for thieves to find customers who are willing to purchase parts, no questions asked. Myth: Your auto insurance will cover items that were stolen out of your car. Truth: Personal belongings, such as cell phones, laptops, tablets, purses and/or wallets are not covered under any auto insurance policy, including comprehensive. These items are not considered part of the actual vehicle because they are not permanently attached. Consequently, your insurer will not cover you if they are stolen from inside your car; even if the entire car is stolen. Instead, these items would be covered under your homeowners, renters or personal property insurance policies. Familiarizing yourself with these auto insurance myths will help you purchase coverage that best fits your needs. For additional tips, we encourage to read our blog monthly. Click here to receive a free quote on auto, home, and/or business insurance. You can also contact us direct at (480) 820-2297. This entry was posted in Auto Insurance, Hegarty-Haynes Insurance, Safe Driving. Bookmark the permalink.